Prosecutor's office detained the acting commander of the military unit on suspicion of non-response to the seizure of the military unit in Odesa. This was reported by the Chief Military Prosecutor of Ukraine Anatoly Matios during the briefing on air of 112 Ukraine TV channel. "Last night, the military prosecutor's office of the Odesa garrison in the southern region detained the acting commander of the unit, a lieutenant colonel of the Armed Forces, who did not take measures using physical force, firearms and cold steel, as provided by the regulations of the guard service, which led to the seizure of part of military unit’s land area and violation of the territory of military facility," Matios said. Prosecutors also detained a contractor, who, being appointed to the daily duty at the aviation equipment storage, violated the statutory rules of patrolling and did not take measures to stop "titushky." "Now suspicion is announced to both detainees were brought to the district court of Odesa to select a preventive measure. The sanction of the article for the serviceman on duty is up to 5 years of imprisonment, for the commander who committed official negligence - up to 7 years of imprisonment. And this will always happen when someone wearing a balaclava, representative of an unknown race, nation and mentality will raise his hand on the military equipment of the Armed Forces, but, representatives of the Armed Forces or other military personnel, National Guard, border guards, will not fulfill their statutory duties, we will act adequately, without delay,"the prosecutor's office commented. As it was reported earlier in Odesa about 40 people attempted to raid and to seize part of the territory of military facility, which is the property of the Ministry of Defense of Ukraine. This was reported by the head of Armed Forces press center Roman Yurchylo in the commented. According to Yurchylo, the raiders position themselves as representatives of the City Center Shopping and Entertainment complex. 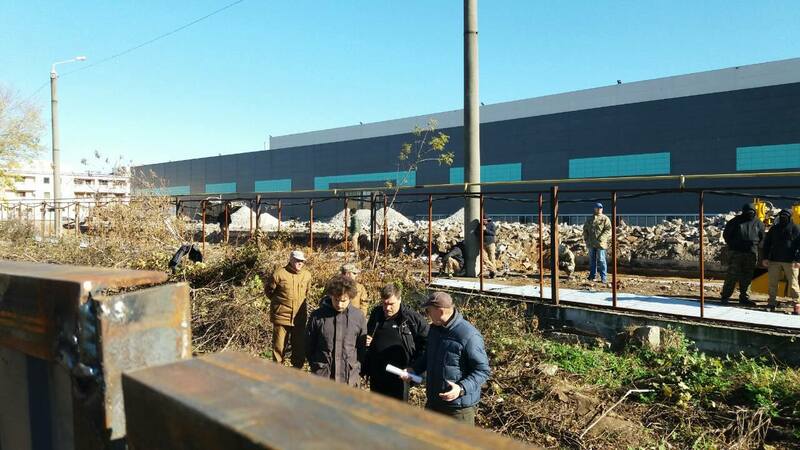 People in balaclavas partially dismantled the fence of the military unit A3571 and took out military property.